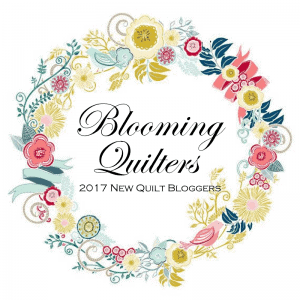 As I mentioned on March 11th, I am a part of the 2017 New Quilt Bloggers group. We are led by Yvonne @quiltingjetgirl, Leanne @she can quilt, Beth @Cooking Up Quilts. We have been using Slack to share ideas about blogging and to learn tips and tricks. We have been split into 3 groups, each with a queen! Yvonne is our leader and the hive is calling themselves the Blooming Quilters! We each get a turn to showcase our blog. Mine comes up the first week in May (better check the exact date) and I will be linking to my hivemates blogs in their weeks. Thank you for sharing about the hop. I look forward to getting to know more about you soon!